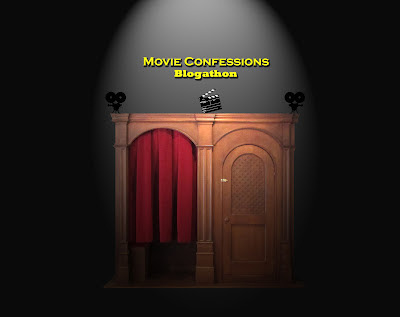 The fantastic Nostra at Myfilmviews has created an ingenious idea for a new blogathon, called the Movie Confessions blogathon. The idea is that the participants confess things about the movies they might have kept secret for a long time. Name a classic movie you don't like/can't enjoy and why? Scarface - The epitome of excess. The main problem I had with the film is the fact that my invested interest in the story greatly waned following the half way mark. As soon as Montana experiences his first taste of wealth, and sees a window to take what he has proven to the next level, he becomes increasingly unlikeable. The film becomes repetitive, takes disengaging tangents (the whole story with his sister could have been cut) and it is ultimately tedious and irritating. Having now seen this film twice, I have been disappointed both times. I was actually pretty optimistic for a while there, because the infamous chainsaw sequence holds up pretty well, but I can honestly confess I don’t much care for it. Name ten classic movies you haven't seen yet. Sunrise (1927), King Kong (1933), Mr Smith Goes To Washington (1939), The Rules of the Game (1939), The Philadelphia Story (1940), The Grapes of Wrath (1940), A Matter of Life and Death (1946), The Treasure of Sierra Madre (1948), A Streetcar Named Desire (1951) and Ikiru (1952). Have you ever snuck into another movie at the cinema? Yes. When I was younger my friends and I never tried it, and I have been working at cinemas for several years now so I have never even considered it. BUT, I did sneak into The Thing directly after watching The Cup last year. The Thing was not the worst film I watched that day. I needed something...anything...to eliminate the latter film from memory. What actor/actress do you think is overrated? Hmm. Danny Huston and Dennis Quaid. Danny Huston is always forgettable. He always plays the same characters - a conniving and untrustworthy friend whose transformation into the villain is supposed to be a dramatic twist. Dennis Quaid is a terrible actor. I love Any Given Sunday, but that doesn't disguise Quaid. 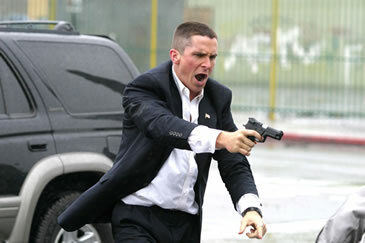 Oh, and following The Dark Knight Rises I was reminded just how bad Matthew Modine is too. Yashujiro Ozu. I can't remember ever seeing one of his films available to rent a video store. Accessibility mostly. I can't say I love House of 1000 Corpses or Speed Racer, but I enjoyed them. They got slammed and are mostly despised. Have you ever been "one of those annoying people" at the cinema? Potentially. During Pirates of the Caribbean: On Stranger Tides I was so bored I whipped out my phone and started playing with it. Quite ashamed. Also, I watched Wall Street 2 in Gold Class and having consumed a bottle of wine with my girlfriend at the time, my scoffs of disapproval were loud-ish. Did you ever watch a movie, which you knew in advance would be bad, just because a specific actor/actress was in it? Which one and why? I knew Cowboys and Aliens would be bad, but I needed a film where I didn't have to think and figured a film starring both Daniel Craig and Harrison Ford might be salvaged by their work. No. Actually, I knew The Thing would be bad, and subconsciously I think I watched it for Mary Elizabeth Winstead, who I like. Are there any movies you have in your collection for five years and haven't watched? No, not over that period of time. I bought Black Snake Moan for some reason and watched it once, and never again. That would be four years ago at least. I have not watched Moon since I bought it either. It is still in the wrapping. Close to two years ago, I'd say. I own The Matrix Reloaded and Harsh Times. I don't get rid of DVDs and usually buy great films that I enjoy watching. I have very few films I regret buying. I watch films on my laptop sometimes. Here's a confession I am proud to admit. I love David Fincher's Girl With the Dragon Tattoo and have watched it three times this year (twice in a cinema and once on DVD). More than any other film so far. Oh I saw Cowboys and Aliens for the same reason. And hellz yeah for TGWTDT! That film is brilliant. I have seen it quite a few times myself. What did you think of Cowboys and Aliens? It was terrible wasn't it? Not even Daniel Craig, who actually isn't that bad (Ford, Rockwell and Dano on the other hand), can salvage the mess. There's nothing wrong with liking Speed Racer and House of 1000 Corpses. Those are awesome films! There is plenty 'wrong' about House of 1000 Corpses, but in its own sick way it is surprisingly watchable and fun. Andy, I'm right with you on Scarface. I feel like it has some great scenes, but it's way too long and loses steam in its middle act. It's one of those movies that's constantly acclaimed, but I wonder how many have watched it recently. I like Dennis Quaid, but I can see your point about Danny Huston. I enjoyed his work in a few early roles like Silver City, but his roles have been pretty dull for a while. I haven't seen Huston in too many roles, but I remember really disliking him in Wolverine (but I hated everything about that film) and found him annoying in the otherwise excellent The Constant Gardener. He was dull in Robin Hood, and the popped up in The Conspirator. Zzzz. 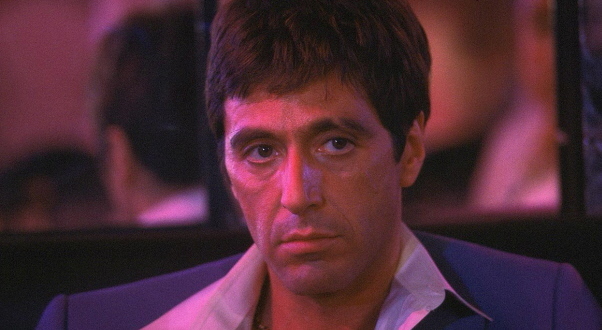 Glad I am not the only one who finds Scarface an insufferable film. It does have some great individual scenes, but it is very dated, and Pacino's performance is ridiculous. I had a lot of fun with it when I saw it in the cinema. I have watched it on one other occasion and still enjoyed it. I have not watched it recently, though. I haven't seen The Cup, but still haha! 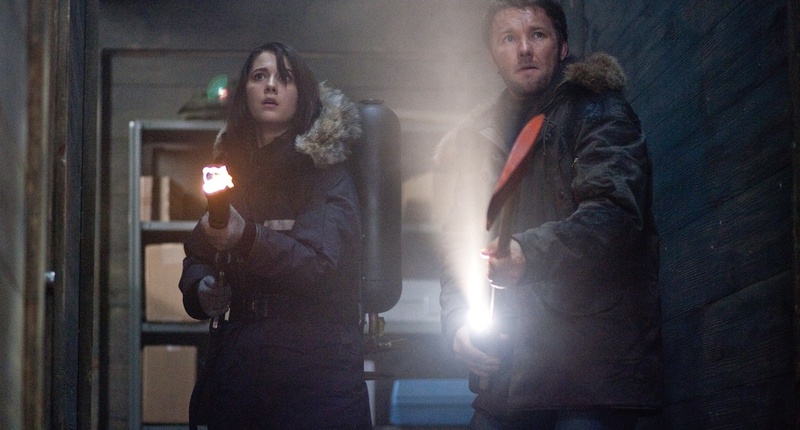 The Thing the prequel is actually an okay movie, so I suppose you were happy seeing it after a film you quite disliked. Fincher's Girl with the Dragon Tatoo is great. I've been meaning to find time to re-watch it. It's even better than the original for me. Fincher's version is much better for me too. I love how clean and polished the aesthetic is. It matches the advanced technological state of the world the film is set in by utilising the best technology available. It looks and sounds amazing, and Rooney Mara's performance was my fav. female role of last year. Don't bother with The Cup. Ugh. Like a bad midday movie. Shame, because the real story is quite moving, and I enjoy horse racing. Glad you're joining the fun blogathon, Andy! I haven't seen Harsh Times, but I'd think Bale's performance is worth a watch? I should give Cowboys & Aliens a shot too, I was put off by the terrible reviews. You can skip C&A. It really is as terrible as the reviews suggest. It is one of Bale's worst roles. He is ridiculously over-the-top in a scenery-chewing performance. It was here (and in T4, and Public Enemies) that he went off the rails for a while and gave a string of poor performances. Trivia question about Andy: Which is the first film he every bought on DVD? I recall getting Flying High/Airplane and Monty Python and the Holy Grail for my birthday in 2002, but I purchased Road to Perdition just before then. It was my first, and I am still proud to own that film. I can understand playing with your phone during that Pirates of the Caribbean movie -- after the first movie, that franchise went downhill really fast. I've seen some of the movies on your "Classics I Haven't Seen Yet." Grapes of Wrath is pretty good, but not at all in keeping with the spirit of the novel. I really liked Ikiru -- it's a deceptively simple story about trying to give meaning to an ordinary life. I thought it was terrific. I really want to read the novel, The Grapes of Wrath. I believe it is fantastic. I have heard such wonderful things about Ikiru. It feels like a giant hole in my film experiences.